I know this truth: Our humanness naturally seeks transformation, healing and personal success, even amidst struggle or strife. How we define these qualities is what makes us dynamic. After the bustle of the holidays – the familiar over spending, over eating, and endless holiday to-do list – the new year is known to inspire hope, new beginnings, fresh starts, and a letting go of the past (with all its challenges). To mark this transition, many of us are known to declare the changes we would like to make. If you look back at your past resolutions you may see where they lost steam, where the realities of daily life made them tough to achieve, where your inner resistance took over, where you got stuck, where you self-sabotaged, or even gave up. I have done this too. This year, how about shedding your old ways (unless they worked like a charm for you) and try a "set yourself up for success" new beginning. There is a different way. One that is filled with self respect, gratitude, intention, and potency. One that breathes vitality into your own fulfillment from the inside out, one that acknowledges and honors the challenges past, and one that makes you the master of your own divine destiny. How your RESISTANCE can be your biggest teacher. Our culture today is very much dominated by the energy of the masculine. The masculine qualities that we see so prevalently in the world are qualities such as productivity, efficiency, technology, logic, focus and stability. Most of these qualities dominate our thoughts, our work, and our home life. We need ALL of them. The masculine qualities have a lot to teach us. And…they tend to work even more effectively in our lives when they are balanced with the feminine. The feminine is intuitive, fluid, mysterious, receptive, sensual, nurturing, tender, patient, adaptable, and quietly strong. Each of us has our own personal recipe for the marriage of these two energies – the masculine and feminine. When we find that inner recipe, we tap into a personal power that is ripe for leaning into our dreams, and manifesting our desires. This year, when contemplating the beginning of a new year, the returning of the light, and the artistry of your vision, consider what it would be like to align your inner world with your outer world. 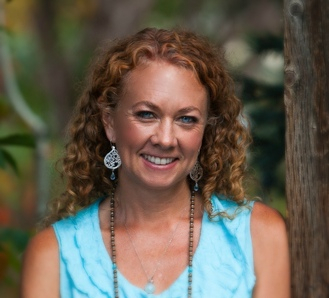 What if your intentions were infused with intuition, emotion, and wholeheartedness? What if you took a look at what your really want versus what you think you should want? What if you considered how you want to feel in your life with the qualities and stepping-stones that would lead you there? What if you considered your internal goals along side of your external goals? Could you be a little more gentle, kind, and accepting of who you are and where you are in your life with all your imperfections? There is no end to the depth and devotion we can have with ourselves. I see it as a life long practice, inquiry, and love affair. In the podcast below, you will hear about The Yogic Art of Setting Intention and how to embrace the inner and outer, the masculine and feminine, and the gifts from challenges past. I have learned a lot about my resistance in the past few years. The times I would rather not follow through. The tasks that make me uncomfortable, the ways in which I avoid that one to-do on my list, the automatic excuses I use to avoid pushing myself into something new, and most importantly: what happens when I push through to the other side. In fact, resistance has become an important teacher for me. It helps me find my edge. It offers me a new way. It shows me where I am limiting myself. So often we repeat our old behaviors because of fear. We don’t know what is coming, so our minds choose something with which we are already familiar. Looking our resistance in the eye can give us a chance to inquire into why it is arising. Being uncomfortable with change or something new. Acknowledging the fear of unfamiliar ways, new beginnings, and the releasing of the old is medicine when looking ahead at a new beginning – such as a new year. When you loosen your grip on these old ways, a comforting sense of freedom and lightness emerges. I have found when my resistance arises, simply recognizing her will make the following actions easier. When you notice your resistance arise, pause, and ask yourself WHY? On the other side of resistance are qualities such as freedom, expansion, breakthrough, trust, openness, potential, personal power, and love. 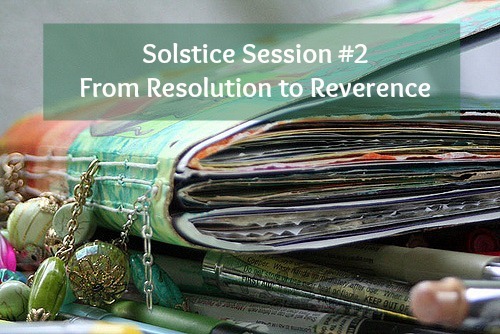 What are the Solstice Sessions? For the next few weeks, I will be sharing with you therich and heartwarming Solstice Sessions. These are my little whispers of winter’s wisdom, some guidance as we embrace the darkest nights of the year, and some appetizers from my most complete body of work, THE YOGA OF EATING 2017that begins this January. (registration is open). I hope you enjoy some of this content, as much as I love creating it for you. Check out the details below. 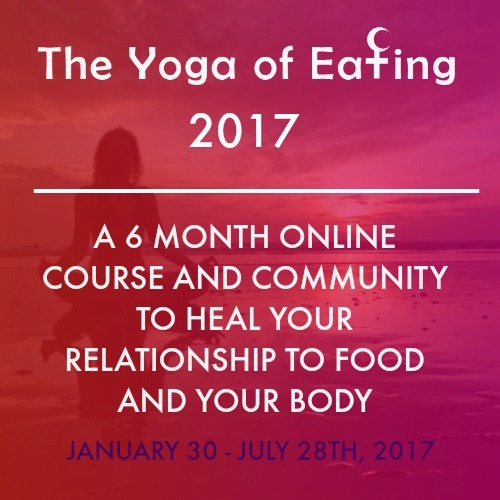 THE YOGA OF EATING 2017: 6-month course and community to heal your relationship to food and your body. Webegin in January 30th, 2017. THE YOGA OF EATING 2017: the most in-depth and detailed body of work I offer and a way to work with me personally while feeling the support of others on a similar path to transform your relationship to food and your body. Many of you have daydreamed of a life filled with positive thoughts and habits that support your health and your happiness. If that is the case, THE YOGA OF EATING is just right for you. This 6-month online course and community is full of incredible resources, potent international guest teachers, deep and reflective monthly content, guided yoga and meditation practices to enhance your inner journey, a beautiful circle of women from many corners of the world, and age-old practices that guide us to deep healing from the inside out. Make this year the year you can become your own VIP in all things health and happiness. Want to join me LIVE? For the whole month of January, Boulder Nutrition will be partnering with Lululemon (we are both Canadian!) to bring you 5 FREE community classes. 6- month program beginning January 30th, and to deepen into your 2017 dreams and intentions. During January all 5 classes we will be hosting a food drive for Harvest of Hope! Bring non perishable food items to class as a donation. I'm a Nutritional therapist, food psychology expert and Lifestyle Coach. My mission is to help heal the feminine through food, mind-body connection and pleasure. Learn more here. In our work together, we will dive into deep healing for the body and soul, while I offer you practical, potent teachings that will open your heart to trust, your mind to possibility and your body to its organic wisdom. I am chock full of resources for you, including INSPIRING content and a wide range of support to help you find your way in all things food and body.